Are you in survival and you just need to mix two wool, carpet, or stained clay colors to get a certain color? 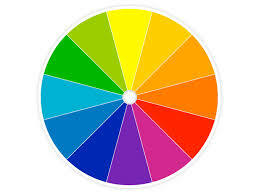 Well with "Color Wheel" you can mix two certain wool colors to get a specific color! Recipes for every color of Wool, Carpet, Stained Clay, Stained Glass, and Stained Glass Panes! Thanks for the feedback! Waiting on bukkit for file approval!!! Thanks I will be sure to tell the other coder we did a great job! You can test it too.